Are you looking for balance physical therapy in Bergen County, NJ? Complete Care Physical Therapy specializes in balance physical therapy in Bergen County, NJ. Our balance physcial therapists are knowledgeable, experienced and will help you achieve your goals. Balance control is the foundation of a person's ability to move and function independently. However, balance control declines with age, and impaired balance is a major risk factor for falls among older adults. A fall can result in severe injuries, such as fractures, causing longstanding pain, lower quality of life, disability, and even death. Fear of falling, with or without an actual previous fall history, can lead to physcial inactivity accompanied by further physcial decline and imparied balance, as well as to an increased risk of many lifestyle-related diseases. Moreover, previous research has found that fear of falling per se may increase the risk of a future fall. Dual-task performance, or performance when a person's attention is divided between a motor and a cognitive task, is a natural component of daily activities. Both healthy elderly persons and those with balance impairments show reduced physcial performance under cognitive stress or while engaging in attention-demanding tasks, increasing the risk of falling even more. Balance physical therapy in Bergen County, NJ is necessary to improve balance control under situations with divided attention. This balance training program for older adults, including dual- and multi-task exercises, was designed and developed based on well-established principles of exercise and on the knowledge that balance therapy in Bergen County, NJ relies on the interaction of several physiological systems, as well as interation with environmental factors and the performed task. 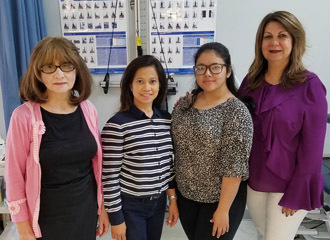 Balance physical therapy in Bergen County, NJ has been found to be motivating and valuable in strengthening self-efficacy in balance control, resulting in a reduced fear of falling, increased walking speed, and improved physical function. Participants also found balance physical therapy in Bergen County, NJ fun and enjoyable. The ability to stand, to walk and to perform daily activities in a safe manner depends on a complex interaction of physiological mechanisms and many systems have influence on a person's balance. Balance control also requires many cognitive resources, and the more difficult the postural task, the more cognitive processing is required. Balance control and other cognitive processing share cognitive resources and, therefore, simultaneous performance of a secondary task affects stability in both healthy and balance-impaired older adults. Performance levels vary depending on the complexity and type of the secondary task. Furthermore, a secondary task affects balance, gait, and fall risk, especially in older adults. Since dual-tasking has a major impact on daily physical performance, we believe that dual- and multi-task exercises are important components in a balance physical therapy in Bergen County, NJ. Complete Care Physical Therapy - Your Main Source for balance physical therapy in Bergen County, NJ.